Today is issuu’s first ever Generators Summit (which you can livestream on YouTube) where we are exploring the intersection of technology, creativity and content, and what it takes for creators to truly thrive in the digital age. 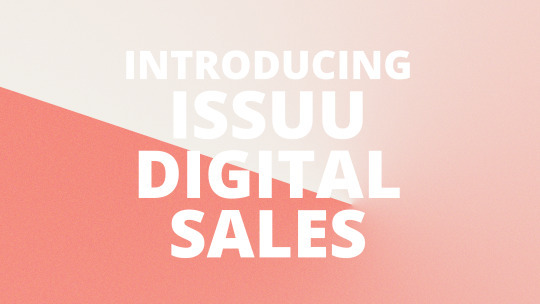 As part of Generators Summit, we are announcing a new product, issuu Digital Sales, which will be available to everyone later this month. 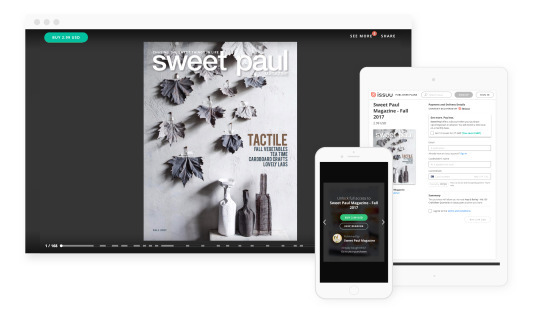 With Digital Sales, publishers will be able to sell digital access to their magazines and their fans will be able to buy them on any device, all on the issuu platform. Publishers put their blood, sweat, and tears into producing their amazing publications, so we knew how important it was to craft a seamless experience for publishers and their fans that would work beautifully on any device. We’ve also made sure that publishers get complete control to decide what to sell, to set and test pricing, and to sell single publications or subscriptions. issuu is partnering with Stripe to help streamline payments for publishers and creators so they’re able to quickly grow new revenue streams and build their businesses. Publishers don’t need to be dependent on an opaque payment system, which in many cases may be based on poorly understood views or likes. Single or Subscription: Publishers can set up single-issue purchases and subscriptions of their publications in just a few clicks. Fast and Fair Payment: Publishers receive immediate payment directly from readers, powered by Stripe Connect. Mobile Ready: Readers can easily browse, discover and preview beautiful for-sale and free-to-read publications on issuu’s site and mobile app on any device. Simple Signup: Digital Sales will be available as part of issuu’s Premium and Optimum publisher subscription plans, and takes ten minutes and no IT help to set up. You can sign up here to be the first to know when Digital Sales officially launches, or get more info in our press release. You can also follow @issuu on Twitter for the latest issuu updates.